I paid a visit to the Millenáris Velodrome in Budapest. Slowly. Demonstratively slow. Style over speed and all that. More associated slowness from the Slow Bicycle Movement. This just in off the Slow Bicycle wire... 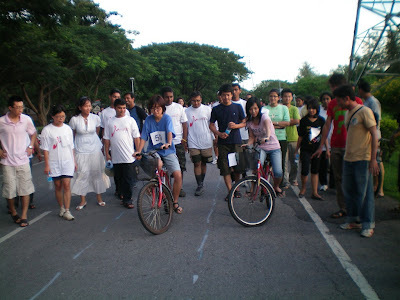 The Asian Institute of Technology's Student Union hosted a Slow Bicycle Race on 05 September 2009. Just a couple of days ago. Sorry. Another Slow film. Couldn't help myself.